Sacramento – The California Department of Forestry and Fire Protection (CAL FIRE) today announced that the Department has awarded over $63 million in grants for 16 landscape-scale, regionally-based projects aimed at promoting healthy and resilient forests that protect and enhance forest carbon sequestration. The grants were awarded by CAL FIRE’s Forest Health Program to affect private, state, and federal forestlands in 13 California counties. CAL FIRE’s Forest Health program restores California’s forestlands through a suite of active management approaches including thinning of overly dense and, in some cases, pest-impacted forests; use of prescribed fire for ecological restoration and to reduce hazardous fuel loads; reforestation of forests diminished by fire, drought, insects and disease; and capacity support for forest management, wood processing and biomass utilization. Thirteen of the recently awarded grants will treat approximately 150,000 acres of private and public lands. Three of the grants will establish conservation easements under CAL FIRE’s Forest Legacy Program. These grants will protect more than 40,000 acres of forestland in Napa, Placer and Siskiyou counties from urban and agricultural development. Projects will sequester carbon through reforestation and increased growth and yield of existing vegetation and may reduce future wildfire emissions as compared to a business-as-usual scenario. “These landscape-level Forest Health projects complement the immediate actions to prevent and mitigate wildfires that CAL FIRE proposed in its recent “45-Day Report” to Governor Gavin Newsom. Together, our investments will help make our forests more resilient, reducing the risk of wildlife and the resulting loss of carbon, while also improving ecosystem health,” said Angie Lottes, CAL FIRE’s Assistant Deputy Director for Climate and Energy. The CAL FIRE Forest Health program is part of California Climate Investments (CCI), a statewide program that puts billions of Cap-and-Trade dollars to work reducing GHG emissions, strengthening the economy, and improving public health and the environment-particularly in disadvantaged communities. 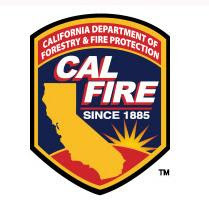 Within the next month, CAL FIRE expects to award and additional $37 million for Fire Prevention projects and $2.5 million for scientific research into forest health issues. Both programs are also part of the California Climate Investments suite of programs. California Air Resources Board released the 2019 CCI Annual Report to the California State Legislature yesterday. Click here for the list of Fiscal Year 18/19 Forest Health grant recipients. Visit www.fire.ca.gov or readyforwildfire.org for more information from CAL FIRE.